Convergence Behaviour Archetypes (CBA) describe the behavioural traits of individuals who spontaneously and collectively move towards emergency situations. If convergence is not managed effectively, unintended crisis management issues may emerge and lead to an exacerbation of the crisis situation. Social media users express different behavioural intentions while converging on a crisis. While these behavioural intentions have been analysed in previous research, an understanding of Convergence Behaviour facilitated by social media use to an effective and smart level of control, is yet to be achieved. Manual content and social network analyses were conducted on our Twitter dataset of the Manchester Bombing 2017 and this analysis identified three dominant convergence behaviour archetypes i.e. the Helpers, the Mourners and the Detectives. These archetypes had the highest crisis communications impact regarding their retweet behaviour. This work provides a better theoretical understanding of Convergence Behaviour archetype influence and impact on crisis communication, for Information Systems research and practice. Kramer, A. D. I., Guillory, J. E., & Hancock, J. T. (2014). Experimental evidence of massive-scale emotional contagion on social networks. Proceedings of the National Academy of Sciences of the United States of America (PNAS), 111(29). https://doi.org/10.1073/pnas.1320040111. Moore, J., Magee, S., Gamreklidze, E., & Kowalewski, J. (2017). Social Media Mourning: Using Grounded Theory to Explore How People Grieve on Social Networking Sites. Journal of Death and Dying. https://doi.org/10.1177/0030222817709691. Tim, Y., Yang, L., Pan, S. L., Kaewkitipong, L., & Ractham, P. (2013). The Emegernce of Social Media as Boundary Objects in Crisis Response: A Collective Action Perspectiv. In Proceedings of the Thirty Fourth International Conference on Information Systems (ICIS) (Vol. 39, pp. 196–215). doi: https://doi.org/10.1515/lpp-2012-0003. Valecha, R. (2019). An Investigation of Interaction Patterns in Emergency Management: A Case Study of The Crash of Continental Flight 3407. 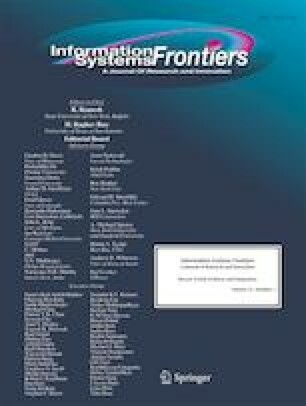 Information Systems Frontiers, 1–13. https://doi.org/10.1007/s10796-019-09896-z.